We offer nursery care for infants and children through age four. The nursery provides care during Sunday morning activities and other special times. The nursery is open each Sunday from 8:30 am to 12:30 pm or at other designated times for special services. At the 9:00 am service we offer Children’s Chapel for all children who would like to attend. Children wishing to attend follow the leader out after the Gospel lesson, and return to their parents in the nave at the Peace. Children have an innate sense of the presence of God. The Godly Play approach helps them to explore their faith through story, to gain religious language and to enhance their spiritual experience though wonder and play. 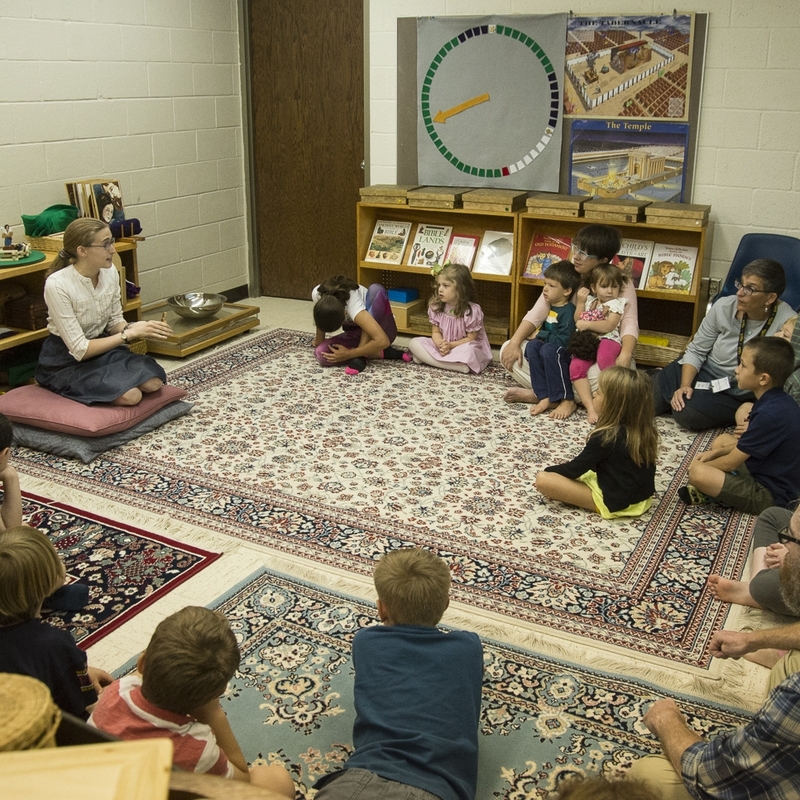 Based on Montessori principles and developed using a spiral curriculum, the Godly Play method serves children through early, middle and late childhood and beyond. Godly Play classes at Trinity meet Sundays at 10:00 am during the academic school year. For this year's schedule, click here. Connect takes tweens on a journey through the Old Testament and into the New Testament, exploring the connections between several stories each week. Connect classes meet Sundays at 10:00 am, in the undercroft, during the academic school year. High Schoolers gather to further examine our lives as Baptised persons, and continue to learn about what it means to be an Episcopalian. 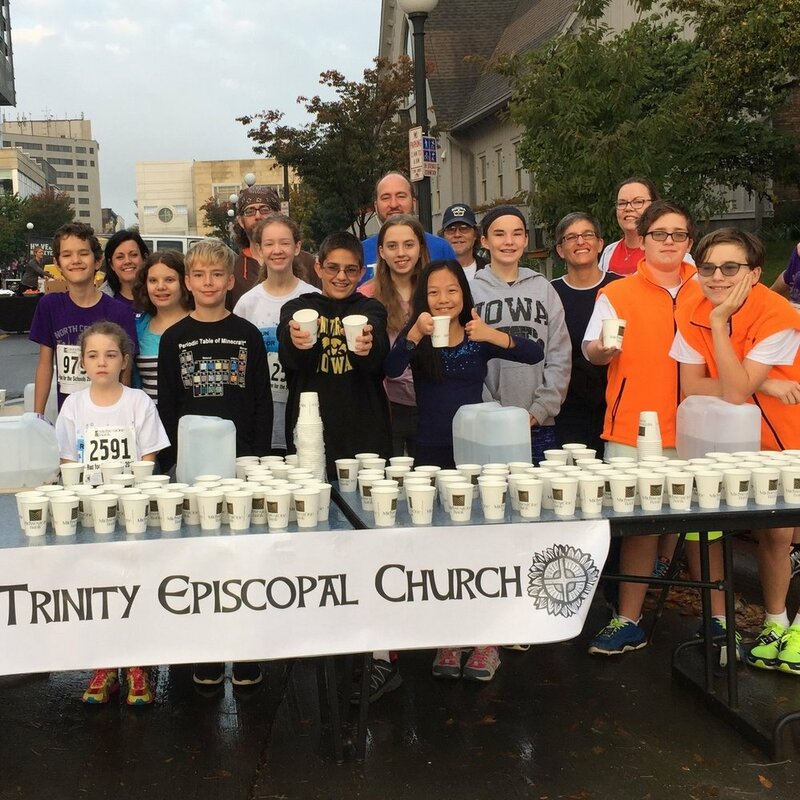 This year, they are examining the Reclaiming Jesus statement and using the Forward Movement curriculum, Living Discipleship: Practicing our Faith and the corresponding book, Walk in Love: Episcopal Beliefs & Practices . For this year’s schedule, click here. EYC gathers once-a-month on Sunday evenings to share a meal together, serve our community, and have fun together! All are welcome! Want to be involved? Do you have questions regarding Trinity's programs for Children, Youth, and Families? Email our Parish Life Coordinator, Nora Boerner.